This 29,6 carat blue diamond was found in January 2014 in the Cullinan mine near Pretoria. A 122.52 carat blue diamond was recovered at the mine. 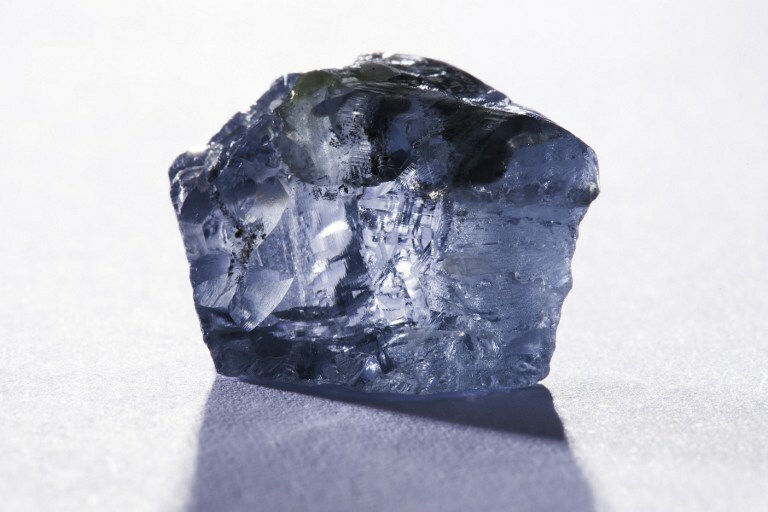 CULLINAN - Petra Diamonds Ltd said it had recovered an "exceptional" 122.52 carat blue diamond at its Cullinan mine, just months after it sold a 29.6 carat blue diamond from the same mine for more than $25-million. "The rarity of a blue diamond of this magnitude sets it apart as a truly significant find," the company said in a statement. Shares in the diamond miner rose almost 7 percent to a year high in early trading, making them the top percentage gainers on the FTSE-250 Midcap Index. Petra, which acquired the famed diamond mine in 2008, said it would evaluate the optimal route to market for the stone after a further analysis to assess its potential value. "So far, the highest price on record paid for a rough diamond was $35.3 million, paid in February 2010 for a 507 carat white stone, also recovered from Cullinan. We think that this stone may break that record," finnCap analyst Martin Potts said. The Cullinan mine boasts the largest rough gem diamond ever recovered, the 1905 Cullinan Diamond, which was cut into two stones that are part of Britain&39;s Crown Jewels held in the Tower of London. Other notable diamonds discovered at the mine are the 25.5 carat Cullinan blue diamond found in 2013 and sold for $16.9 million, and the Star of Josephine diamond found in 2008 and sold for $9.49 million. Petra said the diamond would not be sold in the company&39;s current financial year ending June 30.